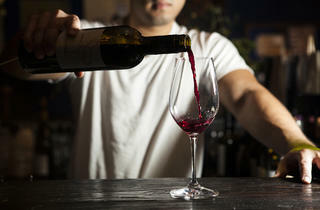 Prepare to be charmed by Santos Uy’s (Papilles) intimate Parisian-style wine bar turned bistro. 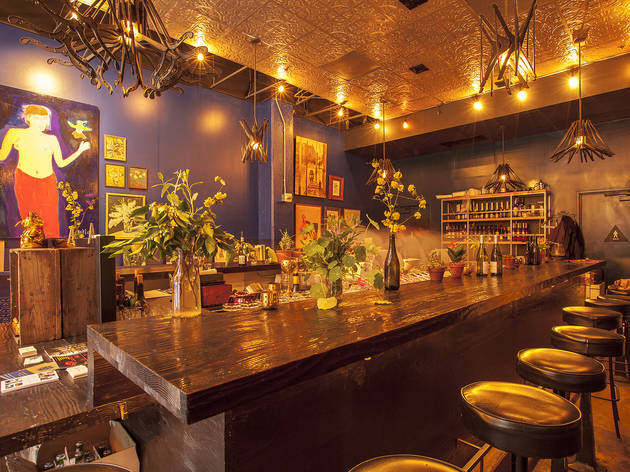 Rich, midnight blue walls, pressed tin ceiling and bookended hardbacks alongside framed portraits on shelves set the homey atmosphere, as a friendly staff pour about 30 palate-friendly bottles of small production, natural wines mostly from France, Italy, Germany and Spain. 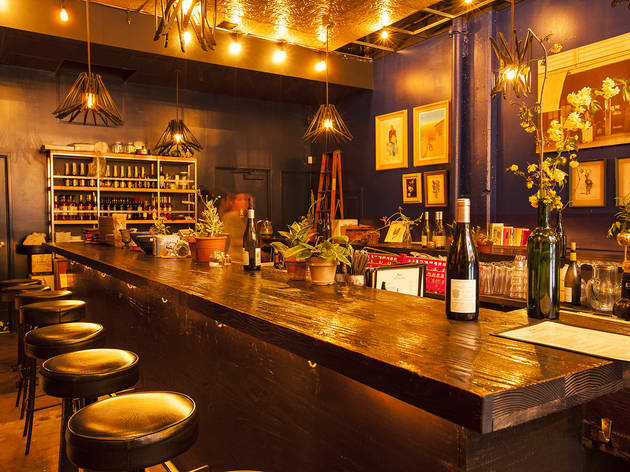 The tiny DTLA space doubles as a retail shop, so if you really like a wine by the glass, take a bottle home or peruse the selection displayed on shelves in the front of the bar. If you're staying for dinner, there’s also a three-course pre-fixe option , as well as small plates, cheese and charcuterie. Stop by for lunch and you'll be privy to Avner Levi's Cento Pasta Bar, a pop-up serving excellent pasta dishes like uni spaghetti. 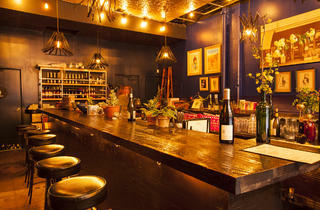 Good for: A very low-key, unpretentious wine outing. 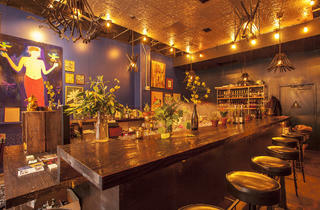 This is the perfect place to unwind after work and to escape the not-so-charming atmosphere of nearby Skid Row. 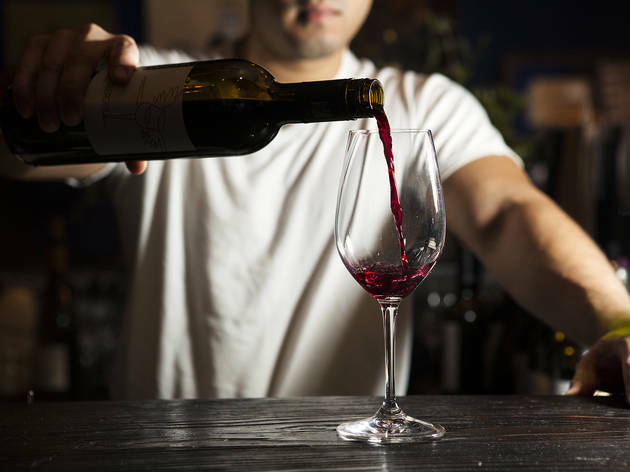 Bring a date or rendezvous for post-work drinks during happy hour (Mon-Sun 6-8pm), when select glasses of wine and food items are just $6 and beers are a dollar off. The scene: Exemplified by the cool, composed staff who maintain a low-key presence, the general vibe is quite relaxed with a tame atmosphere that lends itself to a good date spot. 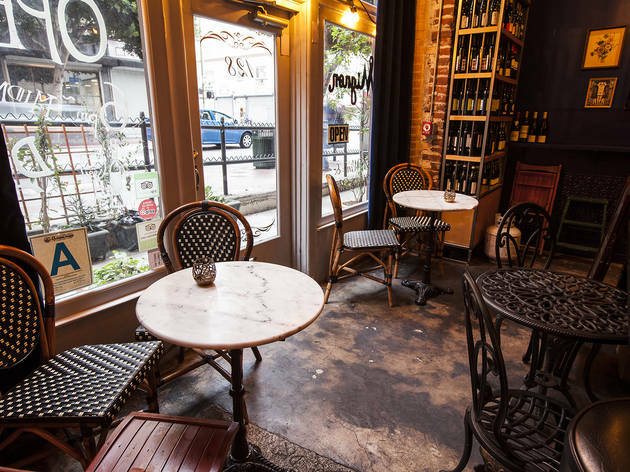 Couples pair up on comfy bar stools—there are only 18 seats—around the central dark wood bar or at café tables in the front. 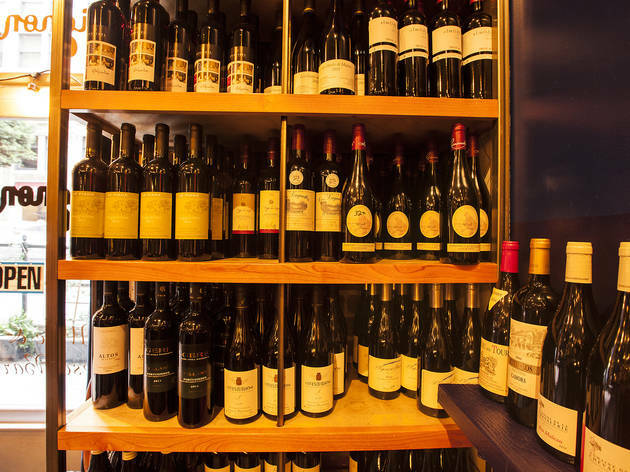 Drink this: Whether white or red, the wines by the glass selection rotates constantly. If you’re not feeling the spirit of wine, seven international beers are available by the bottle. Take me back to France!!! 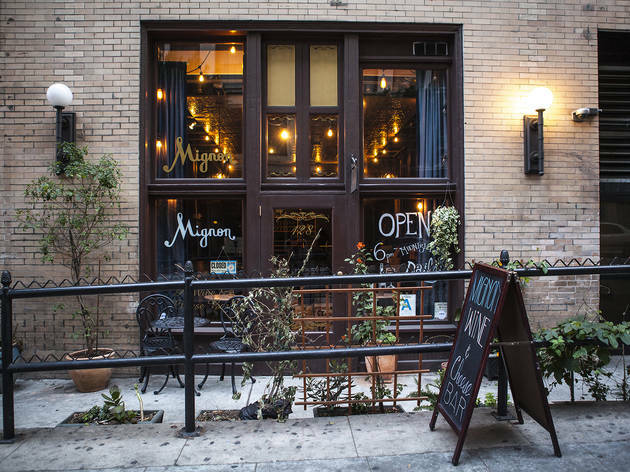 Mignon = cute and this place truly is! 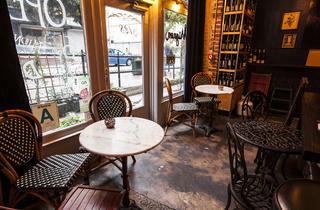 It has a true French theme in which it's meant for smaller intimate conversations. Definitely keeping this one in my back pocket for drinks/dates. 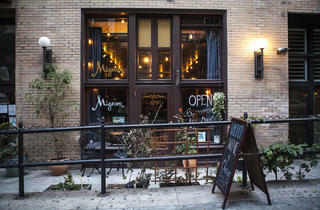 The restaurant is designed like a large wrap around bar which doesn't allow for much seating. I really think they could've shrunken the bar a bit and added some small tables along the wall. 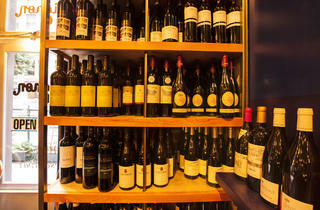 They have a great wine selection and apperitifs - which you'll see them prepare right in front of you. For the wine they have everything you can think of and the group opted for a bottle of the pinot noir - it wasn't as full bodied as I thought so it didn't blow me away.